Here is what I picked. Amy was faster than me and her bowl was fuller. You can imagine the work we had ahead of us, pulling the petals one by one but we did it. I can’t remember how long it took. It must have been a good two hours and here is a shot of Amy’s beautiful hands delicately prising each petal off the flower. Once we had all our petals, we needed to soak them. I will not give you the recipe here. For that, you will have to wait for the book to come out but I will explain the process and of course you have the pictures which may help you work out the process for yourself! All I can tell you is that you need to plan your time carefully before embarking on this adventure. And I now understand why you see this jam less and less in Lebanon. When I lived there, all the sweetmakers used it to garnish their creamy sweets but no longer. Labour must have been a lot cheaper in those days. 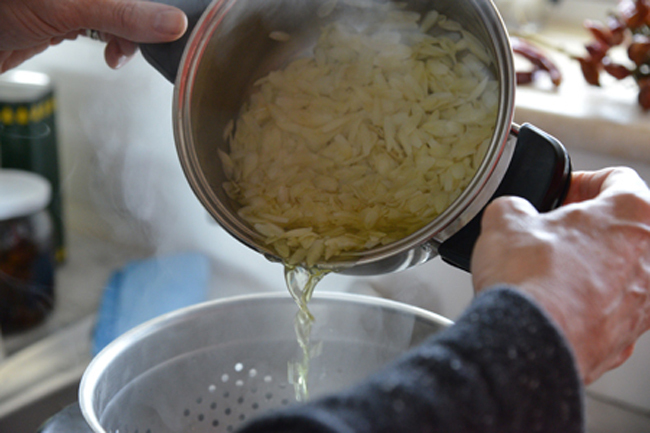 Anyhow, after the petals had soaked for the length of time required, we needed to boil them then soak them again. I guess all this soaking and boiling must be to both soften them and take away a certain bitterness or perhaps make them more palatable. I still have to research that bit of the recipe. We then had to make a sugar syrup which Lebanese sweetmakers colour red. 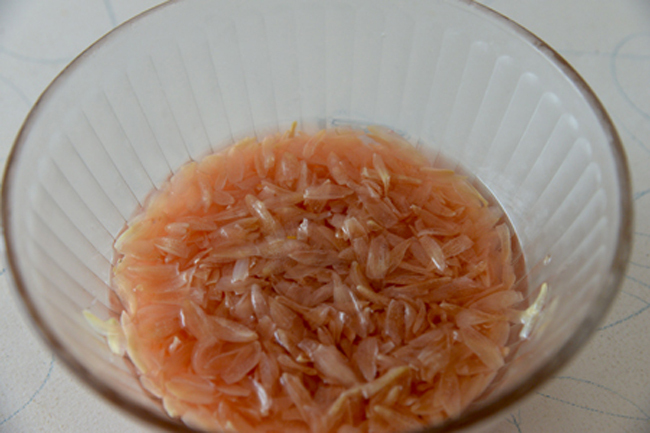 I tried to get a natural dye like hibiscus but couldn’t find any dried, so, we resorted to artificial colouring but decided to use less given how unwholesome it is. It was the right decision. 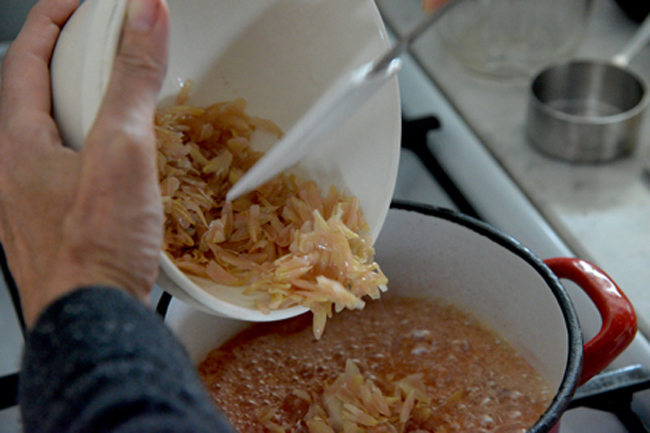 The colour of our orange blossom jam may not have been as vivid as that I remembered but it was incredibly pretty although we wondered until the very end whether the petals would colour the way they should. They didn’t as they cooked in the syrup as you can see from the picture below. And they were still not the right colour as we left them to soak in the syrup. And finally we had our jam! We were so proud, and I was so thrilled that the recipe had worked even if I had never made it before nor seen anyone make it. My mother must have been a wise cook, deciding to use her time more usefully than to spend days making this jam. To be truthful, I don’t think many homecooks make it. It really is the reserve of sweetmakers. 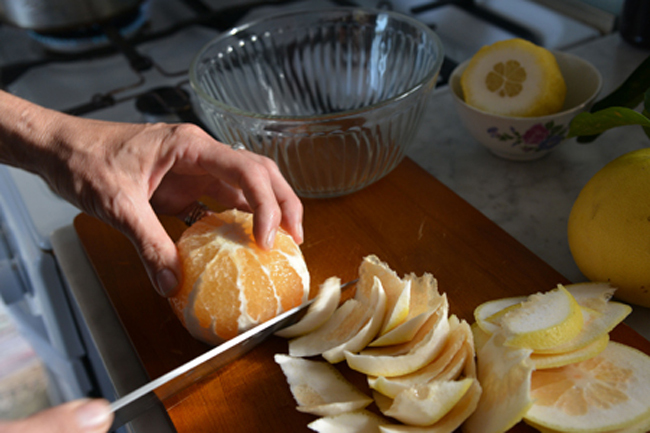 We decided to give the pot of jam to Mary but we couldn’t resist having some the next day for breakfast and wonderful Amy decided to have some on grapefruit segments — we also picked the grapefruit. 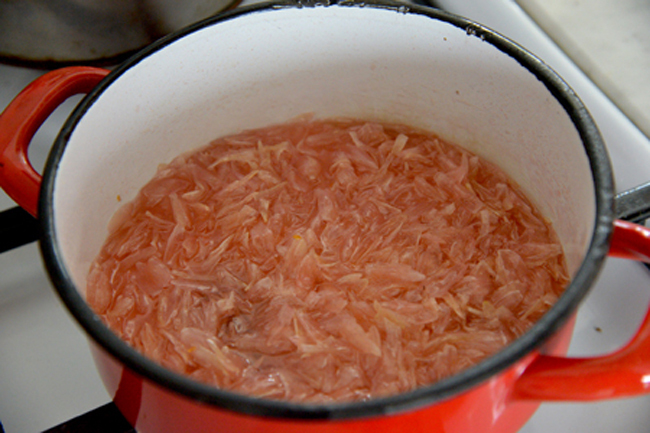 And here is what our jam looked like served. 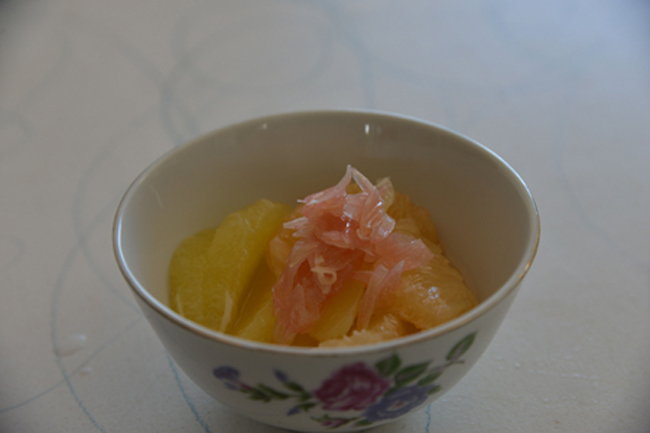 The prettiest bowl of grapefruit segments you’ve ever seen. 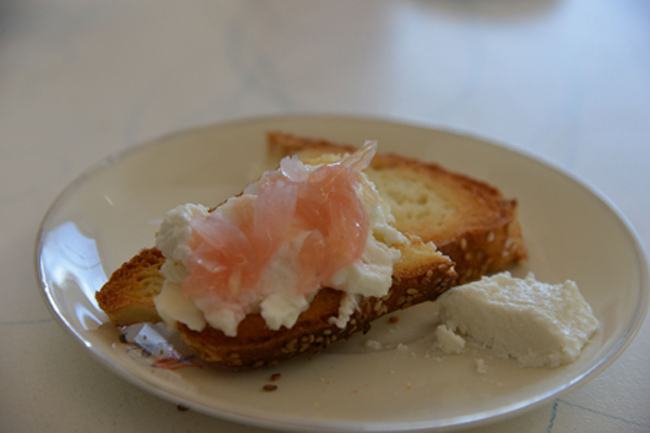 Then we thought we would try some on ricotta cheese with our wonderful Sicilian bread from Spiga d’Oro. By the time we’d finished breakfast, Mary’s pot had reduced by half. It was just irresistible, both to look at and eat. Mary didn’t mind. As for the recipe, I will let you know when the book comes out. Hopefully it will be in the spring when the blossom is in season! 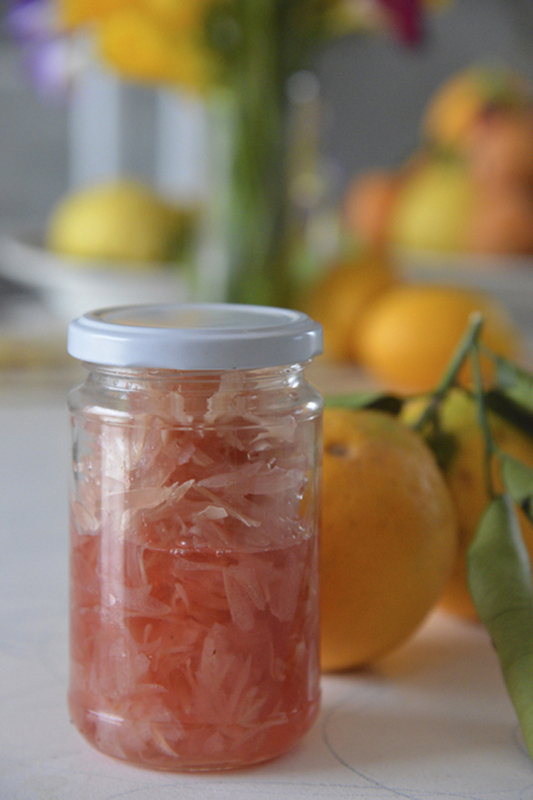 Just a few days ago I wrote about preserving cherry blossoms, and a reader asked me for an orange blossom jam recipe. I cannot wait for your book, of course, and meanwhile, I’ve enjoyed reading about making this jam. The flavor and perfume must have been amazing. I’m going to make some cafe blanc right now and dream of this jam. it was amazing i have to say. so pretty and so delicious. i am now thinking about how i could produce some to bring back here but the labour involved is intense 🙂 i will check your cherry blossom post. Oh I’d love to try that, especially with fresh Sicilian ricotta. Can’t wait for your new book! thx lindsay, and yes sicily is amazing. Have you considered violet jam? Such delicate frGrance and the intense flavor is of an early Spring morn, such a rare dish, I make it in tony baby food jars. 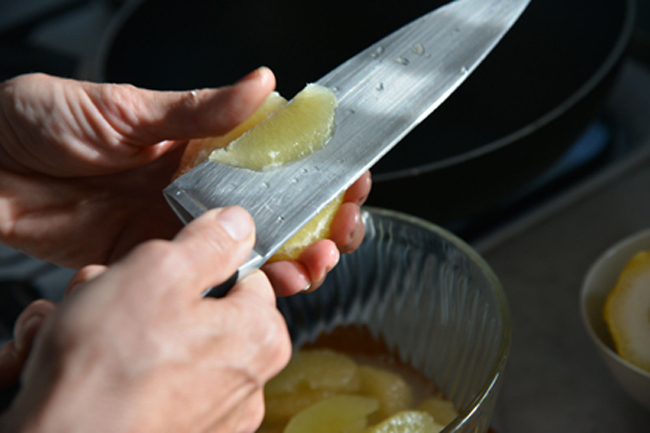 Only very small amounts, barely cooked and pectin must be used, or Apple pectin. 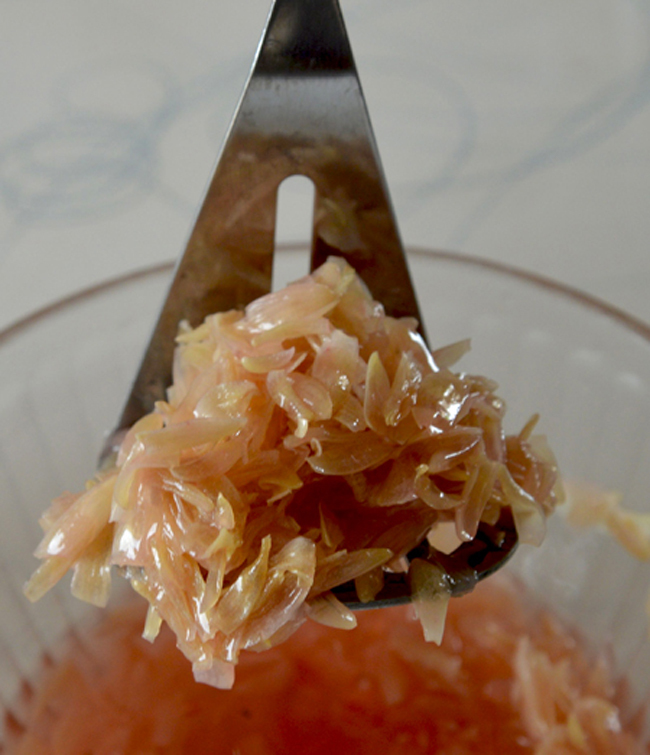 Or Rose jam, best made with old roses like 4 seasons( Roman times), or Crimson Glory (1930? 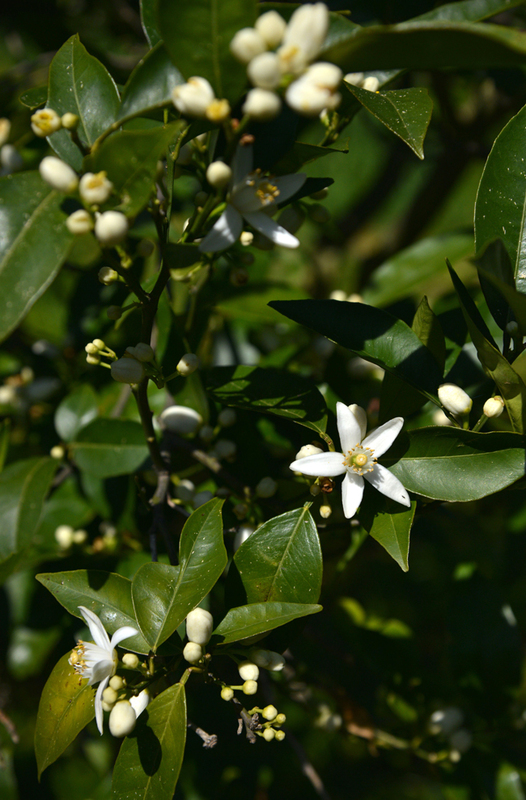 ), jasmine makes a fine jam, as well as sorbet or nicer; ice cream. 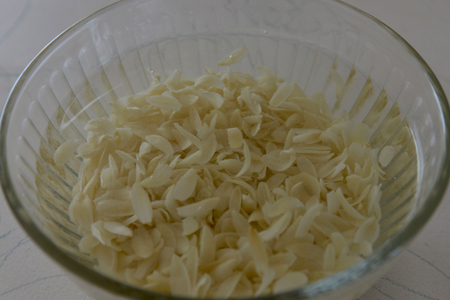 Either violets or several types of Jasmine’s flowered may.be left in a tumbler of water, where they generously give their fragrance to the water; a bit of sugar,… And violet aid, or jasmine water. ( Officianalis, Sambac). 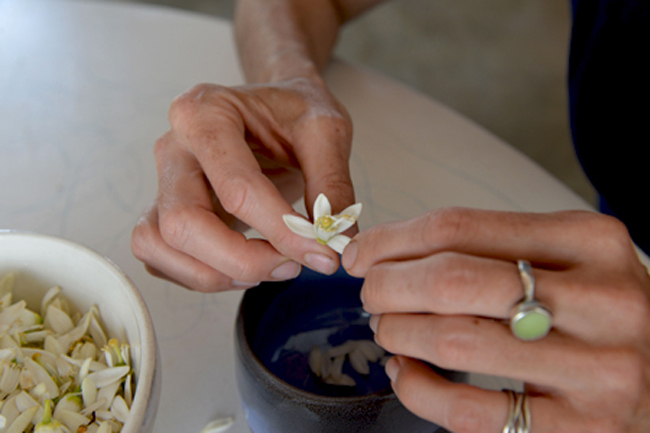 Consider carnations or honeysuckle soaked in vodka, changing the flowers every day, when properly scented/flavored, add sugar and a vanilla bean to each, some honey and lemon peel to the honeysuckle, and whole cloves, and cinnamon stick to the carnation. Last “secret” add to each some glycerine from the chemists, it adds “weight” and density to the tongue, used in all ratafia a, ect. GODspeed on your book, and best of luck!